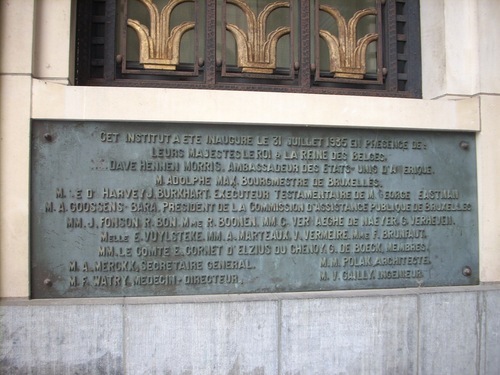 The building of the ancient Institut Dentaire George Eastman in the Leopold Parc, Brussels, was one of the charitable works of American inventor and philantropist George Eastman. 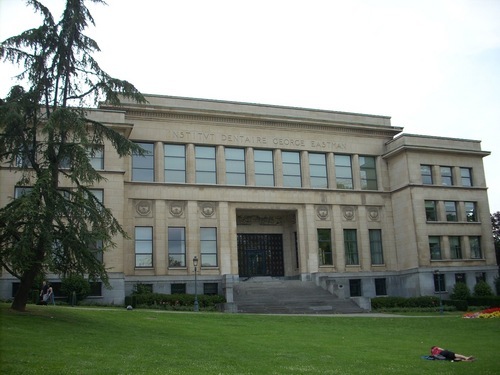 "Dental clinics were also of great interest to Eastman. He devised complete plans and financial backing for a $2.5 million dental clinic for Rochester. He then started a large-scale, remedial dental program for children. Dental clinics were also given to London, Paris, Rome, Brussels and Stockholm. When asked why he favored dental clinics, he replied, 'I get more results for my money than in any other philanthropic scheme. It is a medical fact that children can have a better chance in life with better looks, better health and more vigor if the teeth, nose, throat and mouth are taken proper care of at the crucial time of childhood'."1. 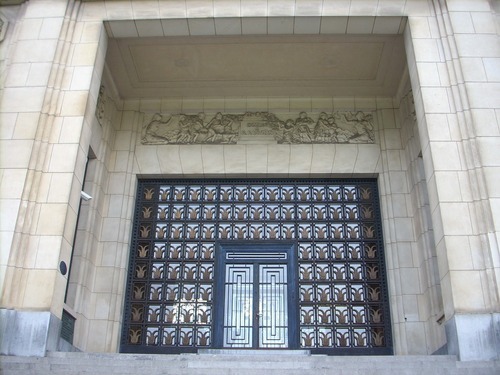 The building, a work of architect Michel Polak, was inaugurated on 31 July 1935, as remembered in a memorial plaque beside the entrance. Nowadays, it hosts one of the seats of the European Court of Auditors. 1. Retrieved from Kodak Official Website.